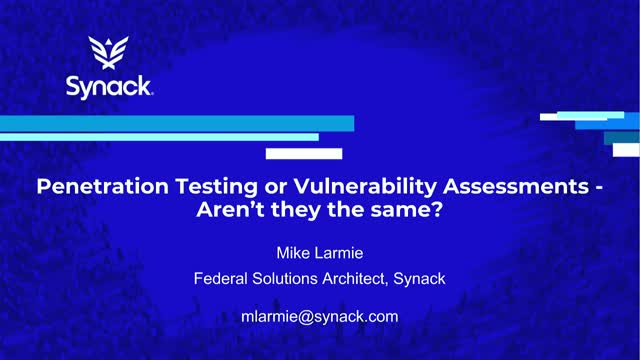 Penetration Testing or Vulnerability Scanning - Aren’t they the same thing? Adoption of bug bounty programs has doubled in the past 3 years, shining a light on crowdsourced security testing options. The bug bounty model, which incentivizes a crowd of creative hackers to probe organizations’ digital assets for exploitable vulnerabilities, has proven quite effective. However, not all crowdsourced testing programs are equal. All programs crowdsource hackers, most incorporate levels of controls for trust and accountability, and some use testing data to help break down testing coverage levels and risk management. Title: Penetration Testing or Vulnerability Scanning - Aren’t they the same thing?